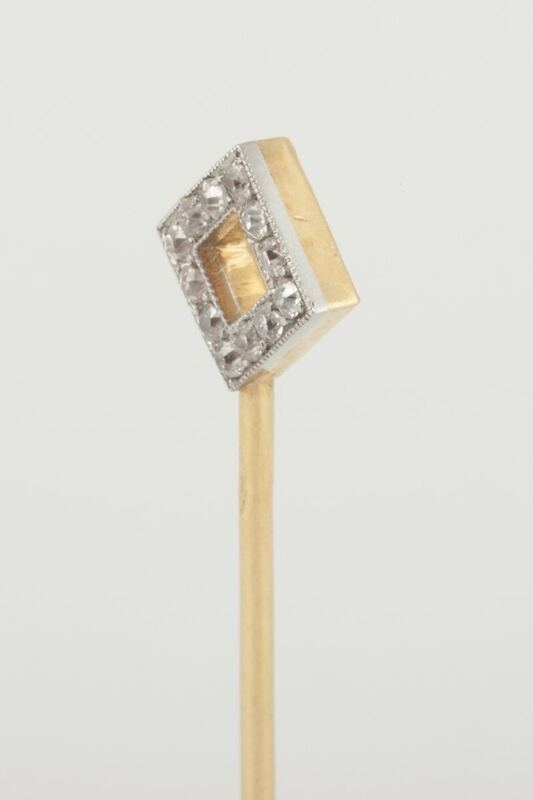 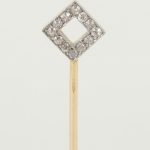 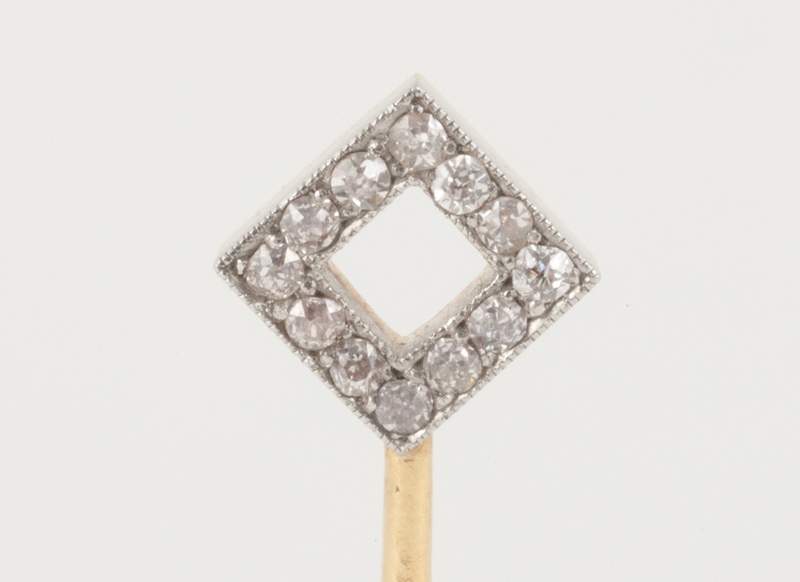 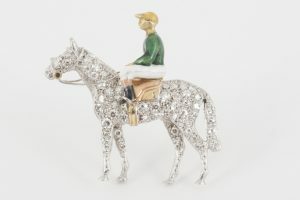 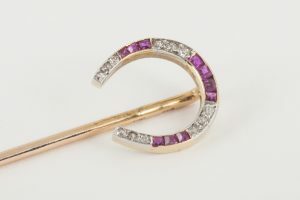 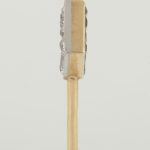 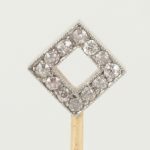 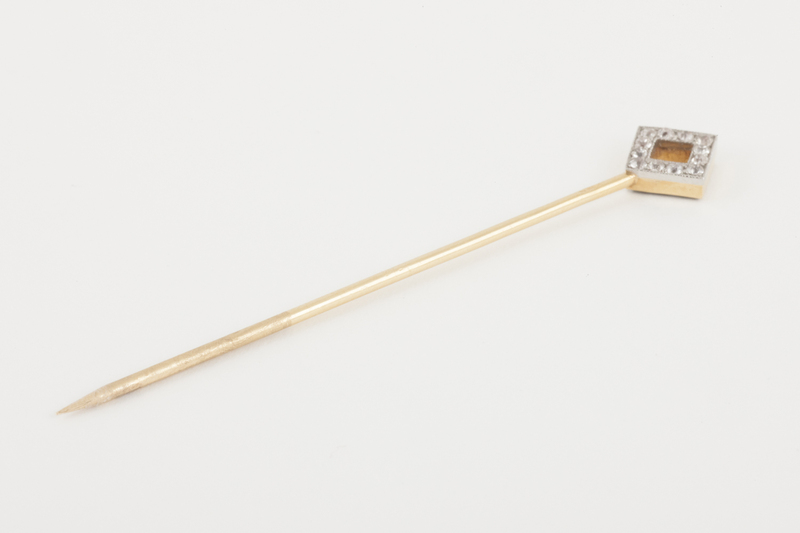 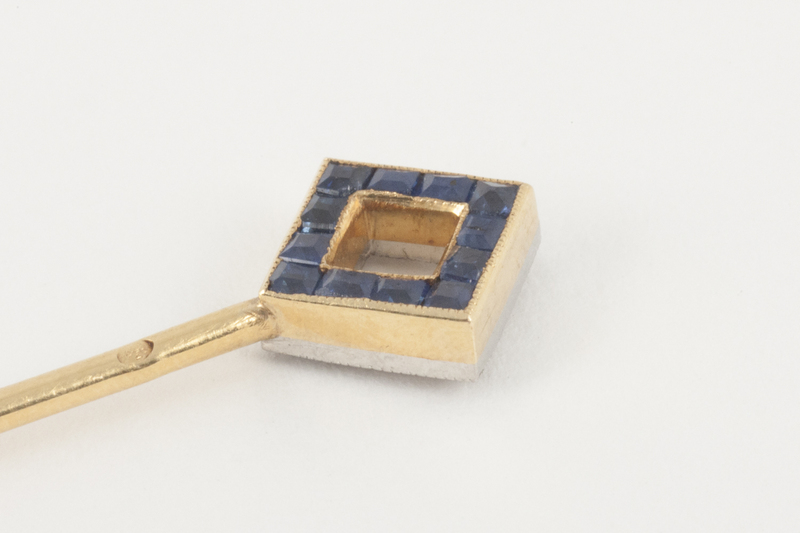 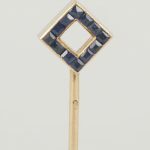 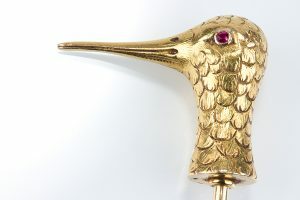 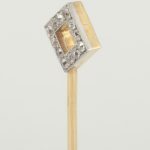 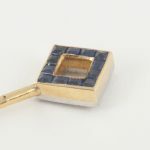 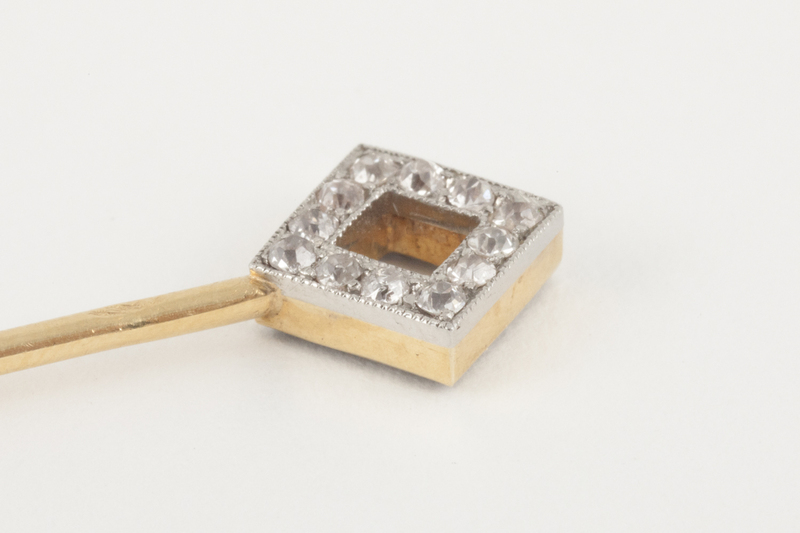 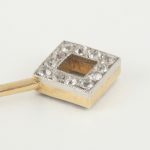 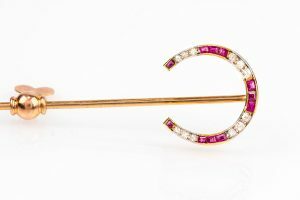 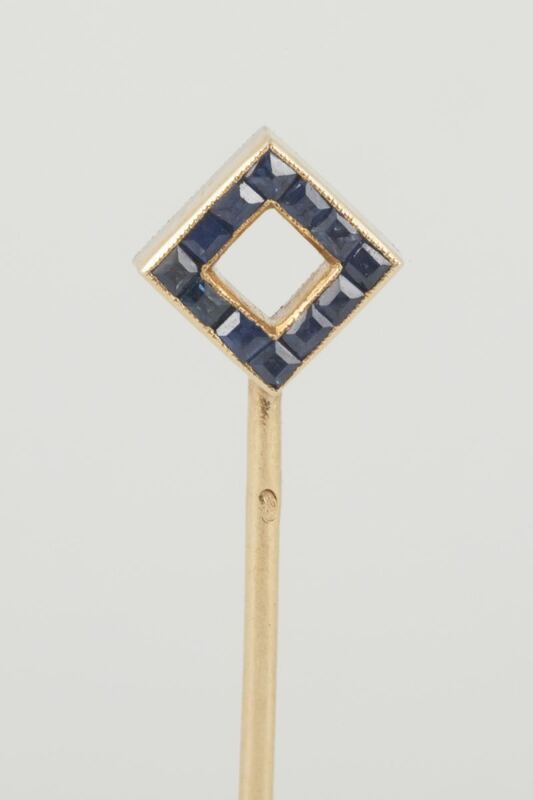 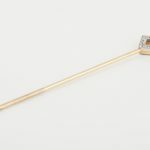 Antique tie pin in the form of a lozenge shaped winning post, set in yellow 18 karat gold with square cut sapphires on one side and brilliant cut diamonds in platinum on the other side. 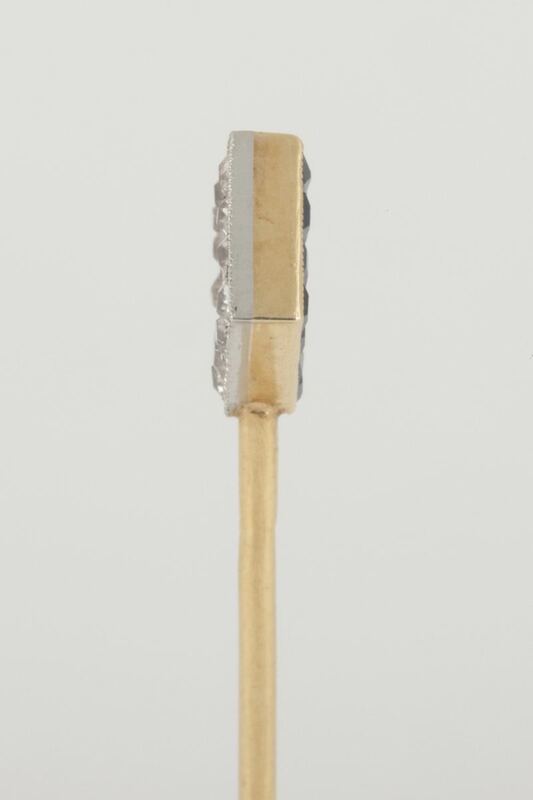 French marks. 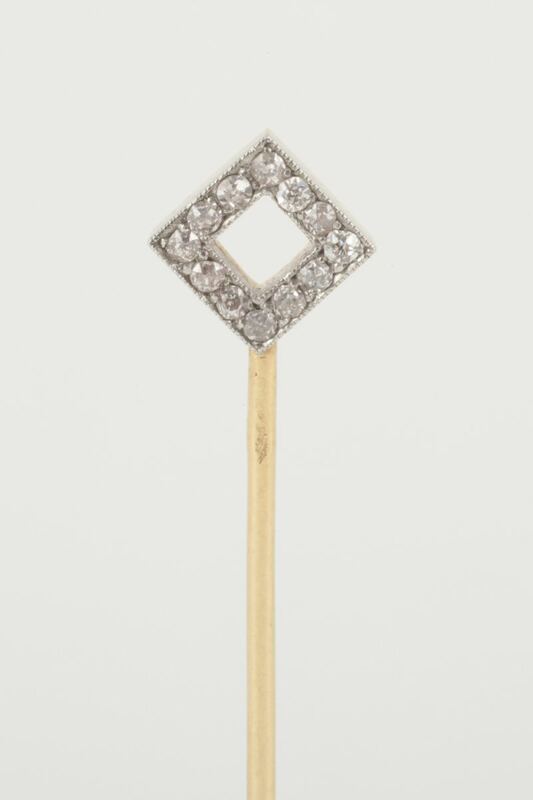 Early 20th century, French circa 1900.